Each bar is packed with 5 or less natural, energy boosting ingredients and loaded with flavor. 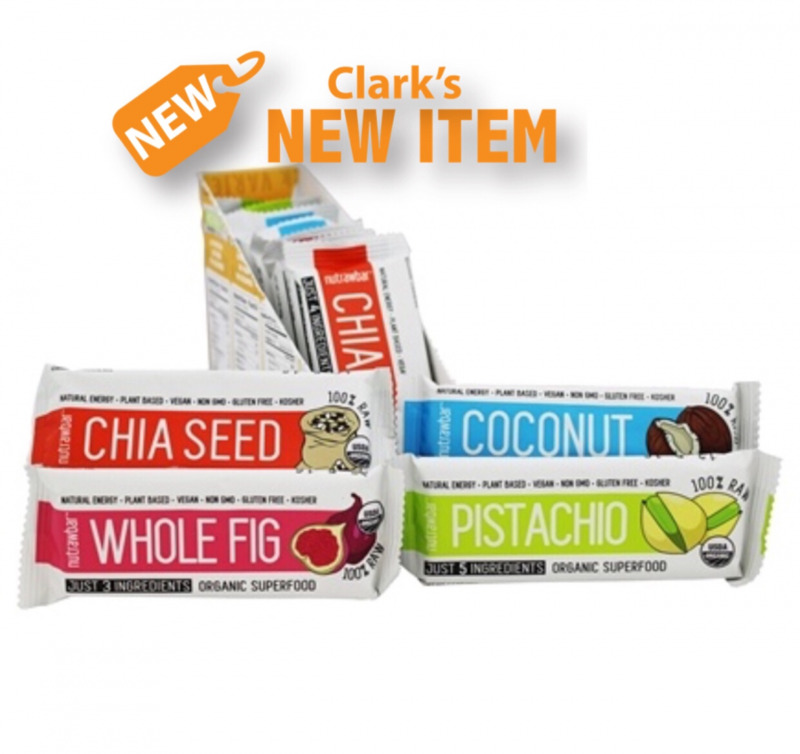 These bars are raw, plant based, gluten free, vegan, non-GMO, kosher and make a healthy filling snack between meals or on-the-go. All four flavors available now at Clark's stores.